WATCH: Lawbreakers New Gameplay Trailer | Nerd Much? The new Lawbreakers gameplay trailer is here! Get ready to beat gravity into submission with this new title from Boss Key studios. 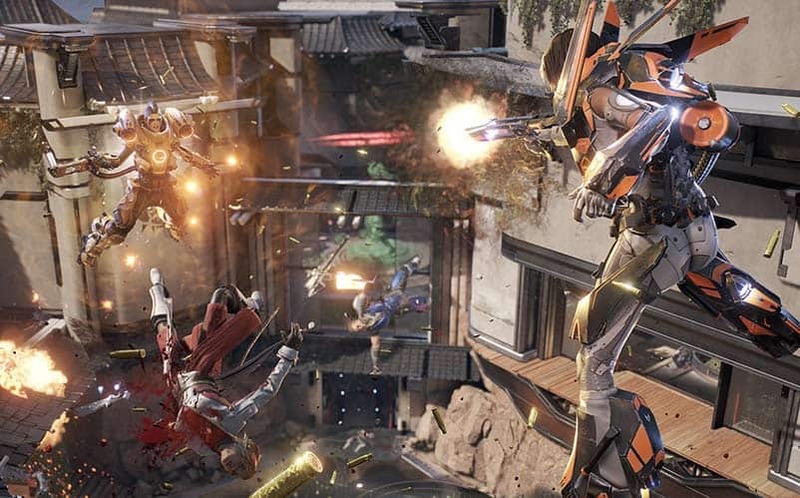 Lawbreakers is an intense first-person arena shooter. What makes this one different is that everyone has the ability to bend the laws of physics. Gravity is as much a part of combat as any gun would be. It creates ever-evolving combat that opens the arena up to 360 degree movement. The story is simple to understand. In the future, there was a global even known as “The Shattering.” The moon was destroyed, causing our landscape on Earth to change. Everything from the tide to gravity itself has been affected. Of course, mankind eventually overcame this event, but a group known as the Breakers began to wreak havoc and promote chaos. It is up to the Law to bring them down. In this new trailer, you get a good look at the changes in art direction since the last trailer. Everyone is less cartoony than before. Even though there is still plenty of color, it seems more grounded in reality with believable lighting. If you want to test the game out for yourself, register now for the Lawbreakers public Alpha tests here. Dates have yet to be announced, but can sign up to be the first to know. There is still much to tell beyond this Lawbreakers gameplay trailer. Come back all day for interviews, impressions, and more.